A sprite-based comic that uses original, newly created sprites and graphics to describe an amazing and metaphysical cyberworld based on a consol game that never existed in the actual history of our earth! Sprite comics are a particular and unique online artform, sprung from the evolution of the art of console gaming. From the earliest, simplistic and seminal works such as the Mega-Man based Bob And George, to the highly refined and wickedly humorous and clever Final Fantasy based 8-Bit Theatre, sprite comics have offered gamer artists with a means to tell stories in cartoon form, without the need to draw original art. Game art, in the form of ripped sprites and backgrounds, provides an instant 'stamp and go' method of churning out content limited only by the writing skills of the author...and the availability of ripped sprite images. But what happens when an artist with unborrowed and personal artistic skill and talent turns their hand to the medium of sprite comics, devoid of the need, for whatever reason, to pilfer the copyrighted creations of others? And what also, if this artist is a clever writer, with a tremendous sense of the history and import of console games on culture as a whole? 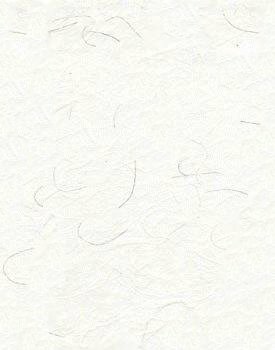 The result is Kidd Radd, by artist and author Dan Miller. 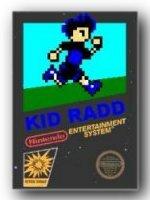 Kidd Radd tells the story of Radd, a character sprite come to a kind of mystical self-awareness within his tiny video game cartridge cyberworld, when he finds himself abandoned by a player no longer interested in playing anymore. Mirroring the angst of a soul betrayed by their god, the little pixellated sprite of Radd comes, a bit unwillingly, to an appriciation of a larger world of other sprite characters, existing in a larger cyberscape created by the emulation of console machines on personal computers, uploaded to the internet. In this larger world, Radd becomes part of a power struggle among the game sprites which demands assembling an army, which can only be done by entering abandoned games, and bringing pixellated enlightenment to the bound sprite-souls trapped within the games. With a nod to the quantum-string theory of infinite and alternate universes, each copy of any game is an entire miniature reality, where every sprite is duplicated with another, alternate universe version of itself, bringing the concept of bringing self-awareness and sapience to such sprites to an existentially questionable level far beyond the usual inventions of mystical enlightenment one finds in many fantasy stories. Hidden beneath a mildly comedic, satirical story of game sprites come alive, and the wonderful game parodies they investigate in their search for teammates, is a remarkable depth of thought and examination of what it means to be alive, and aware, within our own lives and cosmos. And this depth is but one thing that sets Kidd Radd apart from all other sprite comics. Astonishingly, Dan Miller has chosen to create his own game sprites, from scratch, and place them against backgrounds equally original, but which clearly reference a host of famous and beloved games...and movies too. The impact of the motion picture Tron, is not lost on Dan, nor for that matter is any number of cultural references from the animated Reboot to Man and Superman by the mad Nietzsche. To add yet another delight to Dan's work, Kidd Radd is partially animated, often with a remarkable degree of movement and action, painstakingly put into a format that appears on screen so arranged as to appear as though bordered by an old hand-held console device, such as Nintendo's Game And Watch. Dan clearly knows his game history. Kidd Radd is something utterly special among sprite comics, a truly and completely original work that manages to pay tribute with both affection and intelligence to gaming as an artform, whilst managing to tell a compelling and philosophically deep story of the many meanings of enlightenment, even as he unfolds an exciting saga of conquest amist a pixellated Higgs Manifold of alternate game universes. Kidd Radd is an amazing work of online art, and Dan Miller is a Creator of worlds, who deserves far greater success in this world, than I fear he will ever actually see. Absolutely and utterly recommended. Originality: 8 Takes 'Tron' and makes a unique take on the concept. Aesthetics: 10 All sprites and art, while original, perfectly capture real games. Depth: 10 Examines the nature of being and awareness. Writing: 9 At turns humorous and moving, Radd is clever and well paced.